Features are hard. They are hard to write, hard to get produced, hard to find the actors, hard to find the money, and really hard to make. 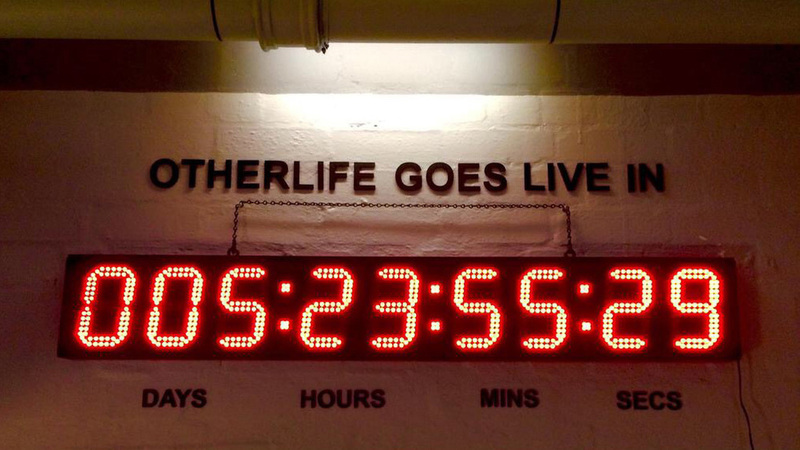 OtherLife has been no exception. We have just wrapped principle shooting, and I must say, I am pretty stuffed. OtherLife is a feature film based on the popular novel, Solitaire, by Kelley Eskridge. The screenplay has been adapted and written by Eskridge along with Gregory Widen (Highlander, Backdraft), Lucas Howe and Lucas. The film follows brilliant software engineer, Ren Amari (Jessica De Gouw) who, haunted by the accident that has left her brother in a coma, creates OtherLife: a substance that allows users to experience hours of new memories in seconds. However Ren's business partner, Sam Murphy (TJ Power), has other grand designs for the future of this technology. It was a tough gig, basically working everyday without break for thirteen weeks, and most often the days are 16 hours if not longer. I put very expectations on myself and the team, and I am extremely happy with what we have been able to achieve. I am absolutely certain we are making an exceptional movie. Ben Lucas has yet again proven what I have known to be true for many years, in that he both a fantastically talented writer, and a complete visionary when it comes to directing. He is also a trusted friend and comrade. It's our second film together, and I think we have both raised the bar on the production, and I think we are both better at what we do, since our last collaboration in 2009 (Wasted On The Young.) The proof will be in the pudding when we are able to show it to the world in the later half of 2016. The screenplay was based off a book written by Kelly Eskridge in 1996 called Solitaire. Gregory Widen (Backdraft, Highlander) wrote the original screenplay, and Ben and Kelly re-wrote the current draft over the last couple of years. In fact we were lucky enough to have Kelly come out to Australia and spend a few weeks on the set of OtherLife. She would often sit by the directors monitor, and occasionally I would go over and see how she is finding the experience of watching her words translate into film. At the end of one of more 'intense' moments, she told me, as she was wiping tears from her eyes, that what she just witnessed, was exactly what she had in her mind back in the mid 90's when she first wrote Solitaire. Ben and Leanne (Cole) now funnel their collective energies into the huge task ahead of cutting the movie. I will start to stick my head in mid way through December, to see what we have done right, and what we will require to shoot in the way of pick ups.